For our first excursion out of Brisbane, we decided to go north. We visited a popular vacation spot called the Sunshine Coast. The city of Noosa is nestled near an inlet from the sea, affording the main beach some shelter from the coastal wind. 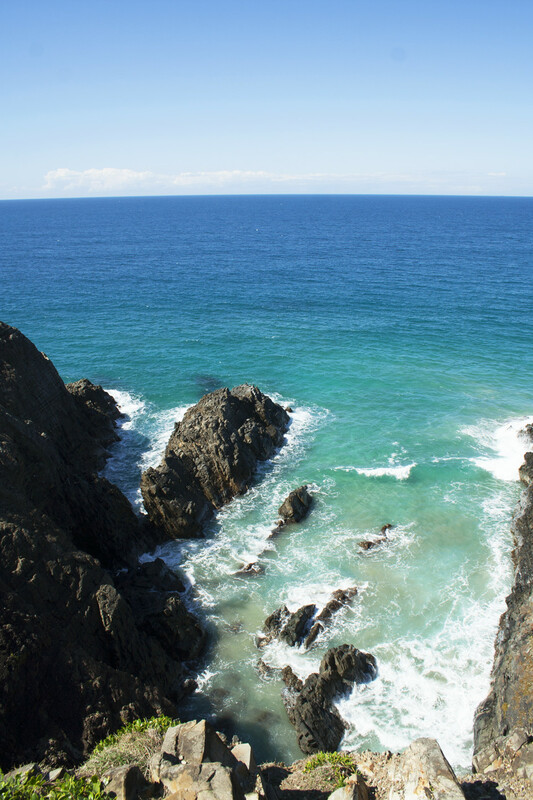 Noosa National Park protects much of the area. It’s a eucalyptus forest and beautiful coastal trails. We packed our bags, caught a train, and jumped into our first rental car experience of the trip. We have been mentally preparing for this whole new world of left-lane driving for a while. This was a test of our nerves and concentration. To be honest, I have no idea what the draw of left-handed driving is. Everything is on the wrong side. The mirrors are closer than they appear in objects. The lefts are rights when they should be lefts, and it’s all wrong. But, that aside, it wasn’t too bad. In fact, after a weekend of driving, it became a non-issue. The beach was lovely. We stayed in a small Air BnB a stone’s throw from the ocean with a family who could see the ocean from their balcony. On Saturday, we hiked around the National park and avoided death at the mouth of a python (not really). The views of the coast were splendid! We visited the downtown area shops for some delicious gelato. Saturday afternoon, the wind prevented us from staying too long at the beach. And in the evening, we ate dinner at the local Suf Club per our AirBnB host’s recommendation. As more people crammed into the bar, we pretended like we understood the rugby on all the TV screens. The energetic crowd in the bar entertained us Americans with their, uh, lessons. In the end, though, Australia sustained quite a devastating loss to New Zealand. Sunday morning, we took the scenic route back to Brisbane. 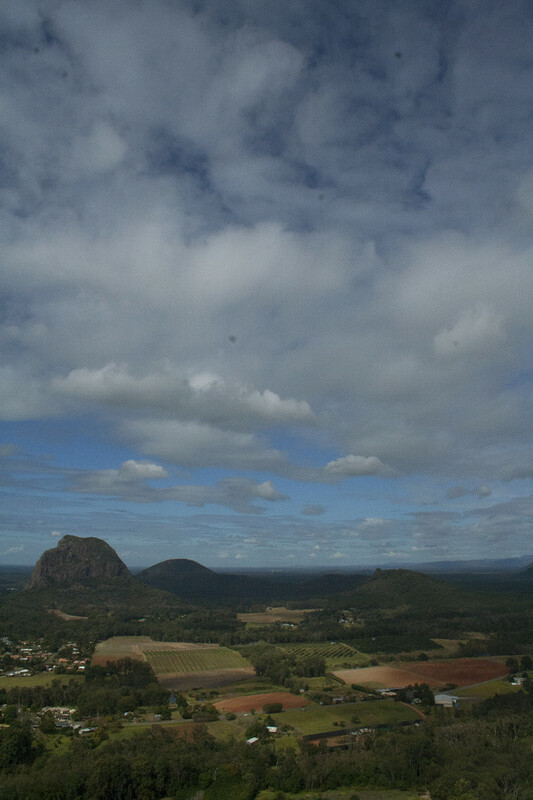 We remembered passing by signs for the Glass House Mountains on the way north to Noosa. We stopped for a steep hike to some amazing views. Noosa was a fantastic first foray into Queensland, and we’re looking forward to many more!